Perhaps you belong to that quaint community that used to recall when signage at Fenway Park said things like: “No Smoking.” Or the ever useful “restroom” with the corresponding arrow. We would rush to advise the holders of the banner that they left out mom and apple pie. Yes, indeed, baseball has a racist history. You probably can find racism and associated with any topic. Human nature being what it is. The modern slogan is symptomatic of the new Puritans, following in the footsteps of their witch- hunting ancestors from Salem who always enjoyed finger-pointing on the way to kangaroo courts. The new Puritans of today are likely wolves in sheepskin. They are college educated and know better than you whether you should wear a seat-belt or smoke a cigarette. And they are not shy to find any pulpit on which to share their slogan. In this case, it happens to be Fenway Park on live television. Bingo, they have bingo. When you are among the enlightened, you have carte blanche to do whatever you want whenever you want. Next you know, they may start crying fire in a crowded theater. What the New Puritans are really against is being forgotten, or seen as unimportant, a mere cog in social media. For them there is nothing worse than being a number in a computer program. We don’t see much difference between those hapless fools who want to wave and cavort whenever television cameras turn on around them, and the new pure Puritan. It’s a great American tradition to ask for liberty or death, or to live free or die. We recall the days when a Fenway sign was something like, “Wade, we’re not wearing any underwear,” which always inspired Wade Boggs to get another hit. April in Boston sports is a dubious time for the most part. For example, this past weekend the city dodged a springtime snowstorm. And, we are preparing for a spate of human interest stories centering on Boston Marathon bombing survivors. Yet, Opening Day for the Red Sox was pleasant—and all the dubious elements converged on Fenway Park. We weren’t sure what would arrive and when. Take, for instance, Gronk who’d been in Florida where he incensed football fans by jumping into the middle of a wrestlemania match, jeopardizing his bad back. The Lombardi Trophy under the care of the Patriots again found itself involved in a storm related accident in Maine over the weekend, where Bambi’s descendant met an untimely end. Tom Brady’s stolen Super Bowl jersey was returned from international intrigue and media duplicity in time to show up for the Red Sox to inspire them. And, we aren’t even mentioning the former Patriot who was not at the game because he was in a courtroom being tried for murder. However, almost all was good. Brady and owner Bob Kraft were there with the QB ready to throw out the First Pitch of the season with a check for $14million in his back pocket, his latest lump earnings for football work. Then, as Brady held up his jersey at the game for the crowd’s edification, a purse-snatcher ran past and grabbed the shirt. Not to worry: it was only the mentally challenged Gronk into his latest lunacy. Like a Wrestle-mania performance, we suspect this was staged. Brady had to chase down his tight end to retrieve the jersey before 40,000 fans in ecstasy. Oh, by the way, the Red Sox won the game. It’s never easy to write humor blogs in Boston. Pablo Sandoval finally had a chance to play on Saturday. His matinee performance had everything—except an open fly. Pablo didn’t hurt a fly, or even a fly ball with his powerful swing and miss. He took forty whacks, and all he broke was his belt. Anyone driving a Ferrari knows when you break a belt, the engine comes to a complete stop. And, so it was for the fancy motorman of the Red Sox. It was not breakfast that broke his belt. It was not break dancing that broke his belt. It was not breaking even that undid the zaftig Pablo. No, alas, the mighty third baseman took a big fat swing and miss to undo the Gordian knot that holds up his pantaloons. The 48 ounce belt was too heavy for the bat boy to pick up. That pop you heard in Poughkeepsie was not your Rice Krispies hitting the milk. It was more like the fat hitting the fire. Pop goes the weasel, but in this case the pop top pooped out. There’s no place like home to keep your belt’s eye on the ball. There surely is nothing more embarrassing than coming undone in front of a hostile audience. The laugh quotient hasn’t been this loud since the laugh track days of TV sitcoms. We hate to hit a man when his pants are down, but when the belt gives way, you have only a few pounds between you and being caught with your pants around your ankles. Try as we might, we cannot forget one of the worst players who even wore a Boston Red Sox uniform for the most money ever paid. Carl Crawford had a contract for $140million, but always looked like two bits. He hated Boston and was happy to be shipped off to Shanghai Los Angeles where he has more or less flourished in LA LA Land where no one cares how much you screw up or make in salary. So, never forgiving, nor forgetting, Carl Crawford once again answered the clarion call for a comment on Boston and the latest scandal: the 800-pound Pablo Sandoval. “It definitely eats at you,” Crawfish noted without acknowledging that Pablo eats at everything. Crawford made a big play for sympathy for big men with big salaries. It didn’t wash when he was here, and it seems like he wants to hang the Sox out to dry again. The worst villain since Shakespeare created Shylock and his request for a pound of flesh, Crawford made an impassioned plea to fans and abnormal Red Sox fans that he too was human. What better analogy could we draw than one an ignoramus makes on himself without knowing? We doubt that Carl Crawford ever heard of Shylock, that expert in usury. Crawford also took advantage of economic times and lived to tell. His unworthy $140million bucks makes him completely unsympathetic. The Fat Man won’t be singing the National Anthem on Opening Day for MLB. The Red Sox announced they would not play the most overweight player of the season during the upcoming week. Pablo Sandoval apparently did win the starting job at third base with the Boston franchise, but will be a big-time starter at the Coney Island hot dog eating contest in July. In a shocking turnaround, the Sox have entered negotiations with their local neighbor, the New England Patriots of the NFL. In what could be a first in major league sports history, the Sox are trying to trade Sandoval to the Patriots as the next Vince Wilfork. The Patriots have offered the Sox a bucket of chicken wings and a keg of beer for Sandoval. This will be delivered to the Red Sox clubhouse between innings of every home game. Bill Belichick has always enjoyed a pound for pound pounder of pound cake. Skinny guys like Chandler Jones are too lean to be mean. Sandoval will be the 800 pound gorilla in the Patriot locker room and can play any position where he is willing to throw his weight around. Don Orsillo Loses His Head to King John Henry VIII’s Order! King John Henry VIII has returned to his thrilling days of yesteryear. He has called for the head of Don Orsillo on a silver platter. Yes, the long-time voice of the Red Sox on television has been cut with all the pomp and circumstance owner John Henry can muster this side of a seppuku style suicide. Known largely for his low key humor and patient tolerance of all things ridiculous, Don Orsillo now must gird his loins for the worst than can befall him. His television network, also owned by King John Henry, has decided the gentle voice and kind words of Don Orsillo do not fit a team that has sunk to the baseball cellar for two years running. We had no idea that the man announcing the bad lineups ordered by King John Henry was also the fall guy for their failure. Orsillo had shown grace under pressure while working aside long-time sidekick Jerry Remy whose own travails should have sent him packing years ago. With a series of medical problems and a problem child who committed murder, Jerry Remy has made Orsillo’s life difficult. When a series of inexperienced and unprofessional partners were dumped upon him, Orsillo had the good grace to make them look almost tolerable. For that he has been rewarded with a vote of no confidence. Someone with Orsillo’s mellifluous tones will no doubt find work quickly in another venue, better than the third-rate world of John Henry and Tom Werner’s media circus. We feel compelled yet again to offer our bric-a-bracs to the front office buffoons who now run the Red Sox into the ground on a yearly basis. King John Henry VIII is up to his old tricks. This time Ben Cherington keeps his head, but loses his job. For some reason he did not want to stay on under the new President of Baseball Operations, Dave Dumbowsky, who once worked as GM for King John Henry at the Marlins fiefdom. Now they will be reunited in mediocrity, replacing the nonentities that Cherington brought into the organization through his dartboard process and selection of players. Cherington will always be remembered as the man who sounded like Theo Epstein and unloaded a quarter of a billion dollars worth of bad baseball contracts, sending them all to Los Angeles for a bag of onion chips. Lately Ben Cherington has been exhibiting more than his usual smarmy style, having brought to this year’s team the concept of a “team ace,” meaning no pitcher was ready before his time—and certainly not ready period. He also brought aboard two slugs, another Ramirez and a Panda bear. Both seem to have more injuries than Dustin Pedroia. He found a wide range of psychotherapists for Clay Bucholz. We suppose Cherington did only what he was told by retiring poohba Larry Lucchino—and he followed the yellow goldbrick road right out the door to Yawkey Way. Sox brass praised Cherington as the right man to run the Red Sox when a mad bomber blows up the Boston Marathon. Cherington knew how to make the team part of the Boston Strong public relations juggernaut. Praise, indeed. If we really cared about the Red Sox this season, we might have followed this fiasco to its inevitable conclusion—but we swore off the Sox about four months ago. We make an occasional right decision. Seahawk or Mariner: What’s the Difference? If you lived in Boston and stayed up late on Saturday night to watch the Red Sox play the Seahawks, or whatever that baseball team is called, you had a wake up call. Around sixth inning, the rabid Mariner fans of Seattle began to hyperventilate, foam at the mouth, and confused their sports teams and seasons. Yes, Mariner fans began the non-sequitur chant, “Brady cheated.” One of the largest crowds of the baseball season came to the game to seek revenge on Tom Brady. With the four-game suspension hanging in the balance, the Mariner fans spewed forth their venom. Yes, indeed, the Red Sox suffered a deluge of Boston strong hate. Since most of the Sox (like most players) are not native Bostonians, it may have bounced off their waterproof backsides. A few Sox, like David Ortiz, are like Brady—adopted New Englanders. They heard the hubbub, and since Brady came to Opening Day ceremonies to honor the Sox, there had to be some animus. With the Seahawks ace, King Kong Felix the Cat, on the mound, the Red Sox didn’t stand a chance—insane chants and a genuine ace. However, don’t let yourselves be deflated, New England. The Red Sox rose to the occasion and deflated the Mariners. Like the Super Bowl in February, this game went east and the Seattle fans went south. DATELINE: NEW YEAR OF HUMOR! The Good Ship Lollipop sets sail for the year after winning it all. First stop is the place where Francis Scott Key sounded the anthem played before every game. This time the Red Sox will also make a pitstop at the White House where the current occupant is a fan of the Other Sox from Chicago. We don’t expect any embarrassing absenteeism, as befitted the Boston Bruins a few years ago when one goalie couldn’t stomach taking an honor from the Commander in Chief. Baltimore may not be much competition this year, but that’s what they said about the Red Sox last year. It was the place Edgar Allen Poe went to escape from Boston. Whether the Red Sox will be quoting, “Nevermore,” from the “Raven” or “gave proof through the night,” from the “Star Spangled Banner,” one opening day game will not tell. We reserve the right to be optimistic for the first week of the season. Our metaphoric whipping boy and part-time albatross Jacoby Ellsbury has turned pinstripes into gold. Today we have Size on our side. Yes, Grady ‘Where’s my camera?’ Sizemore has not been snapping anything we have seen in the bathroom lately. Instead, he has inspired us with his centered fielding and hitting. We know that, once Big Papi, has digested the numbers, he will have a stomach upset to learn that Miguel Cabrera just signed a contract for twice as much as Ortiz receives in a year. Jon Lester will start the opening game for a fourth time despite being without a contract extension. We want to extend our sympathies to him. The waters have been smooth and chop free for the Good Ship Lollipop this spring training, and we think they will sail like it is regatta time on the Charles for the time being. The first port of entry: the White House on Tuesday. For the sentimental fans that want to bask in 2013’s World Series Champs, we offer RED SOX 2013: NAKED CAME THE LINEUP for your delectation. Available at Amazon.com. Injustice seekers are already queuing up to complain about the grave error in judgment that shall befall Daniel Nava before long. Playing for the Red Sox like an all-star may not have its just rewards. He is not even on the All-Star ballot circulated by MLB. It’s fairly easy to see why he hasn’t a snowball’s chance to appear as a starter in the July classic. Nava could field right or left, and in a pinch be at first, but in terms of votes for All-Star, he is last in the hearts of fans. It’s hard to be an afterthought when you aren’t thought of much at all. Nava is one of those Red Sox players plucked from obscurity, but wallowing in it as far as making a name for himself. He is hitting, fielding, and showing all the gifts of the best players in baseball, but he is not what the game is fishing for. Give baseball a Mike Trout, or even a dozen blowfishes, but forget about the S.S. Minnow of baseball, Daniel Nava. While every baseball game is a three-hour excursion that sinks faster than Gilligan’s ship, Nava has been left off the passenger manifest. Nava can catch a ball hit to right or left, but can’t catch a break. If this season were a movie version of Field of Dreams, Nava would be disappearing into the cornfield. He’s Moonlight Graham playing Shoeless Joe. When film actor Claude Rains played The Invisible Man in 1932, he showed his face for all of five seconds at the end of the movie. Nava should be so lucky. For the ultimate in Red Sox satire, you can read RED SOX 2011: A WHIMSICAL AUTOPSY. It is available on Amazon.com as an e-book. The media in Boston lacks conventional wisdom. You might even go so far as to say they lack any wisdom, but we are not in a cruel mood. The Boston media is eating its own crow pie, again, this week. Smug prognosticators had been touting the Boston Bruins as a shoo-in to take the Stanley Cup in minimal steps. The shocker came after the first game, one of the longest in playoff history, with a loss in three overtime periods. Conventional thinkers also have looked at the Red Sox and said that Jon Lester finally was reaching his apex of style and ace-quality performance. Those first six wins in the season seemed to puff up the easily inflated egos of the Boston media. They never seem to see the 16-wheeler racing down the highway at them. Wisdom seems in short supply for the Boston Celtics followers this week—with the common media assumption down the tubes. Doc Rivers may be ready to move on and away from the TD Garden spot of basketball Eden. The first sneaker to drop did not belong to Kevin Garnett. Insider wise guys in NFL football have second-guessed Bill Belichick more often than the moron threw the clock out the window. This time they are pressing Belichick on his signing of Tim Tebow, which the media sees as a disaster on the order of the Hindenberg, or at least on the order of After Earth with Will Smith and his spawn. The only gasbags we have seen this week are the experts on the two sports networks and sports radio stations in Boston that must fill their empty hours with speculation, second guesses, and obstreperous rumor. Some said he couldn’t make it up that hill. But Jose Iglesias is like a little choo-choo with that extra oomph. The tale of Jose Iglesias becomes one in which the Dormouse appears to be running the mad tea party. Sox front office types laughed when Jose Iglesias sat down to play the piano, but like the famous gag, he began to sound like Paganini at the keyboards. Ben Cherington kicked sand in Jose’s face earlier this season, sending him down after a dozen games. But, Iggy has come back after a crash course in weight-lifting from Charles Atlas. He is now the strongest guy on the infield dirt. Iglesias is like Emperor Claudius standing before the Roman Senate, stuttering and sputtering, then telling them that he managed to keep his head with half his wits when men with all their wits lost theirs. 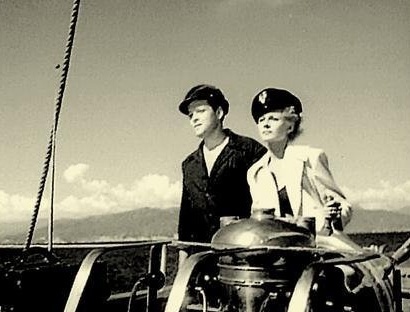 The refugee from Cuba turns out to be a performer who was signed for a cameo role, but turns his few minutes on screen into something resembling Sir Laurence Olivier in an all-star epic. Iglesias is the kid who goes up on stage in a top hat to perform some hoary magic tricks—and turns out to be the next Harry Houdini. Jose manages to look good whether he is wearing a leather halter and dressed for the cast party of Cruising, or whether he is running the bases after a bloody grounder slipping through the infield. Oscar Wilde would tell you some men make it to the majors with a bitter look or a flattering splat. A coward makes it from Pawtucket to Boston with a kiss, and the brave man with hitting stat. We have come to admire Jose Iglesias. 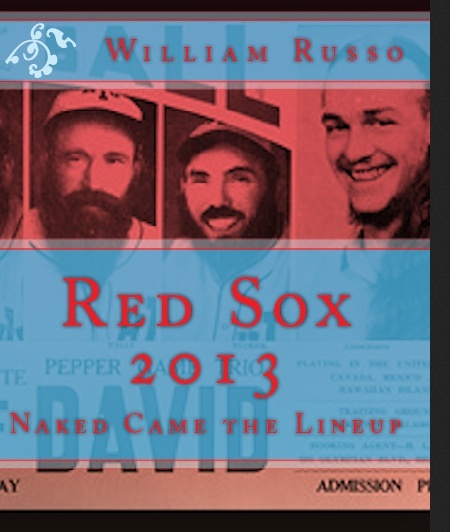 To read all the adventures of the Red Sox during 2013, go to Amazon.com and sample RED SOX 2013: NAKED CAME THE LINEUP to see all the humorous and human interest stories of the season. The new young Red Sox are more than advertised. In fact, the front office seems the last to know. They did promise fans a more exciting and tangible product on the field, but their Mad Ave act came across like the babblings of a madhouse inmate. How wrong they and we were. For a few games this week we watched the unknowns of a lineup that could keep us interested for the foreseeable future. Jose Iglesias, Jackie Bradley (Jr.), Daniel Nava, coupled with the ancient mariner Dustin Pedroia, makes for an exciting bottom of the lineup. If you are wondering how dumb the Sox are, they had no idea that Iglesias could hit major league pitching AND only this week learned that he could play third base and second base too. Sox manager Dudley Do-No-Wrong Farrell now contemplates using Iglesias as the new utility repairman. How could they know until the chips were down and the ship was sinking that little Iggy had more pop in him than the fragile Will Middlebrooks? Yes, the other nuclei of the Red Sox have now gone into atomic implosion. Middlebrooks and Jacoby Ellsbury are damaged goods again, making them a bad investment. 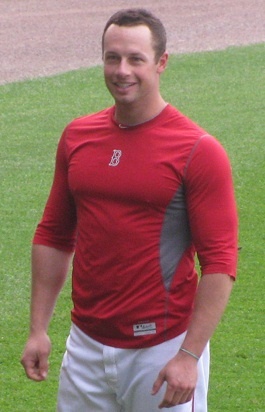 In the meantime the Sox have recalled Bradley (Jr.) to supplement the other inexpensive and generic star Daniel Nava who is so gentlemanly that he may be the only Sox player to befriend Ellsbury. We haven’t actually liked young Red Sox players in a long, long time. It compels us to root for the Boston team once again. Be sure to read RED SOX 2011: A WHIMSICAL AUTOPSY or RED SOX 2012: BOBBY VALENTINE’S SEASON IN HELL to gain perspective on this year’s bumper crop. Available in ebook and softcover, both books are on Amazon.com.